During the panel Mr. Takahashi revealed more about the film’s story. 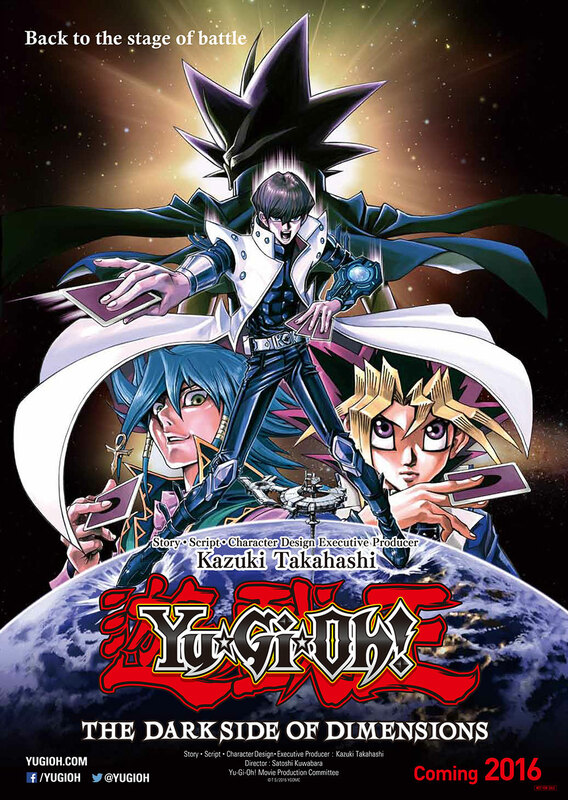 The film takes place a year after the conclusion to Yu-Gi-Oh! Duel Monsters. In addition to Yugi and Kaiba you will be seeing a lot of familiar faces on screen – characters previewed included Joey, Tristan, Tea, and even Bakura, all with updated designs. Mr. Takahashi also brought along storyboards which he shared with the audience, but by far most exciting thing shown at the panel was a teaser trailer for the new movie, which we will debut online 7/18. Yu-Gi-Oh! The Dark Side of Dimensions is scheduled to premiere in Japan Golden Week 2016. Release dates outside of Japan are TBD.